I’ve often posted about my own personal origins, stories from my life and so on, but it turns out I’ve never written about where the name “AmeriNZ” came from. It’s time I corrected that oversight. The graphic at the top of this post is from what I call my “portal site”, and it shows how to pronounce the name; it’s sort of like “AMMerins”. It’s actually basically a contraction of “American In New Zealand”. I think most people know, or have guessed, what the name is made from, but to this day, people have trouble pronouncing it. In fact, that became an issue at one point. My original intent for the name was as the title for a specialty magazine for American expats living in New Zealand. When I came up with the idea, I was working for a small printing/publishing company, and it seemed viable—until I found out how few American expats lived in New Zealand. Nevertheless, I always remembered the name. In 1999, we were planning a trip to the US and I wanted a web email address so I could communicate without having to access my real address from an Internet café, or whatever they had back then. I still have that email address, and it’s the one I use for this blog. A few years later, I started thinking about producing an electronic magazine instead of a print one (part of the original cover concept is below, just placed on a photo I happened to have on my computer). At the time, I was very interested in Adobe’s restricted PDFs—basically ones that had a version of digital rights management. That’s pretty ironic, considering how enthusiastic I eventually became for open source and Creative Commons. The idea of doing a magazine of any sort faded away, and for a lot of reasons, including how much Adobe was charging for the necessary software, and because in those pre-iPad days, I didn’t think anyone would want to read a magazine on their computer. Nothing more happened with the name for years. In 2006, I was getting ready to launch this blog, and of course I knew what I’d call it. 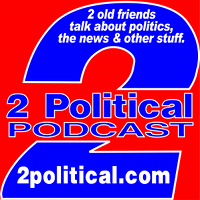 However, the original name was just AmeriNZ; I changed it to AmeriNZ Blog a few years later to distinguish it from my AmeriNZ Podcast. 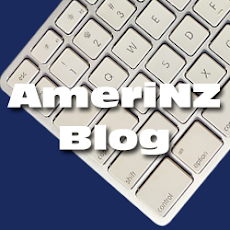 So, I had the email address, and the blog, both with the AmeriNZ name, so it made sense to use it as an online identity. I used it as my “nom du blog” for posts here, for comments on other sites, and when I signed up for social media—MySpace, Twitter and Facebook. It became my personal brand. The weirdest experience for me in all the time I used that name was when I was part of a sometimes heated debate in the comments on a leftist political site. It happened because of pronunciation. One of my leftist adversaries said I should change my nickname because it made me sound like I was an American Nazi. I was dumfounded, and probably said “WTF” out loud (but not as initials). I finally figured out that she, an American, was pronouncing the NZ part as the letters, and in the American way: “enn zee”. You’d have to try, but I suppose it’s possible to convolute “enn zee” into “nazi”. Naturally, I relished the chance to school the leftist on how not all the world uses the American “zee”, and how it was actually a “zed”, but wasn’t said that way, anyway. Coincidentally, perhaps, that was the last time I commented on that site. Anyway, times changed. I wanted to claim my stuff in my own name, and I started cutting back on the use of the name to refer to me, as opposed to the content I produced. That’s still progressing. 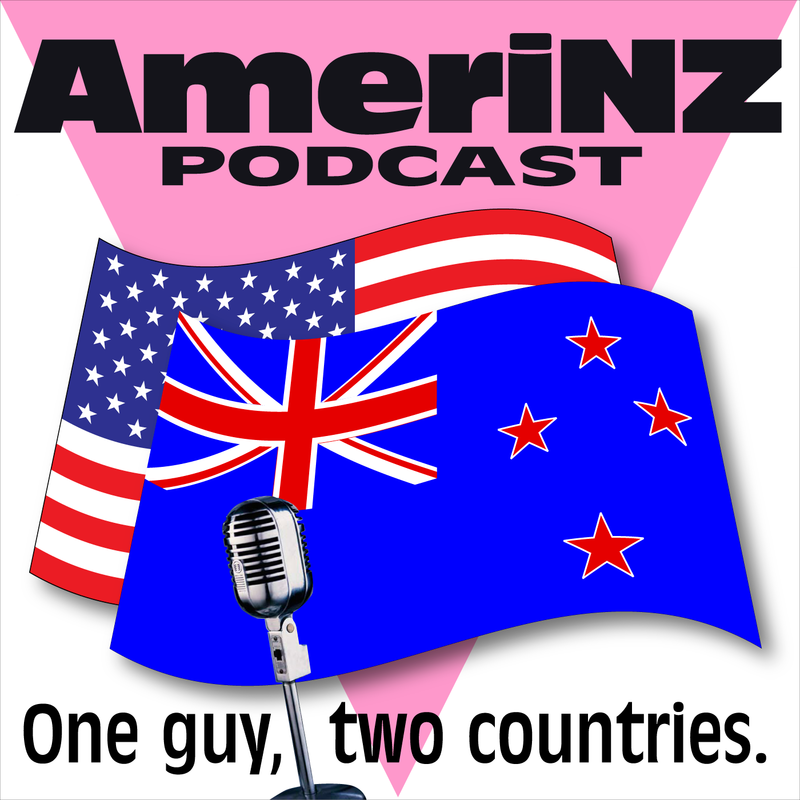 So, the AmeriNZ name went from being a name for a possible publication, then another, to being the name for this blog, podcast and my other online activities, to now being, basically, my personal brand. The name AmeriNZ has had a pretty exciting life, really. But maybe I should have come up with one that was easier to pronounce. The original concept art for AmeriNZ, which was to be an e-zine. It never happened. Oh, I don't know - Aaamerenz is pretty easy to pronounce -- but maybe it's because I've heard you pronounce it on podcasts. At any rate, I think it is very clever.